It's showtime! 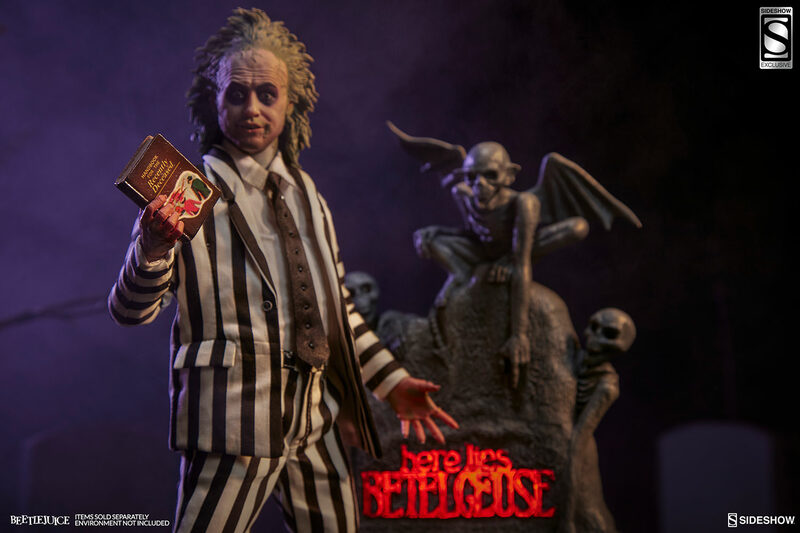 From Tim Burton's supernatural cult classic comedy, Sideshow is proud to introduce the Beetlejuice Sixth Scale Figure. 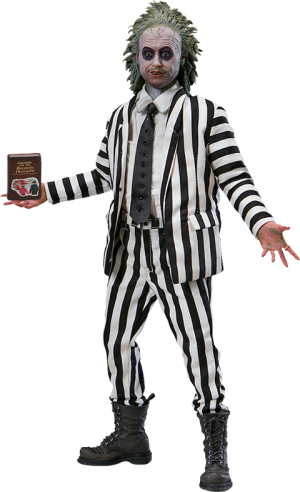 Presenting Michael Keaton as the self-proclaimed "ghost with the most", Beetlejuice is dressed to impress in his black and white striped suit, with wide eyes and wild hair. 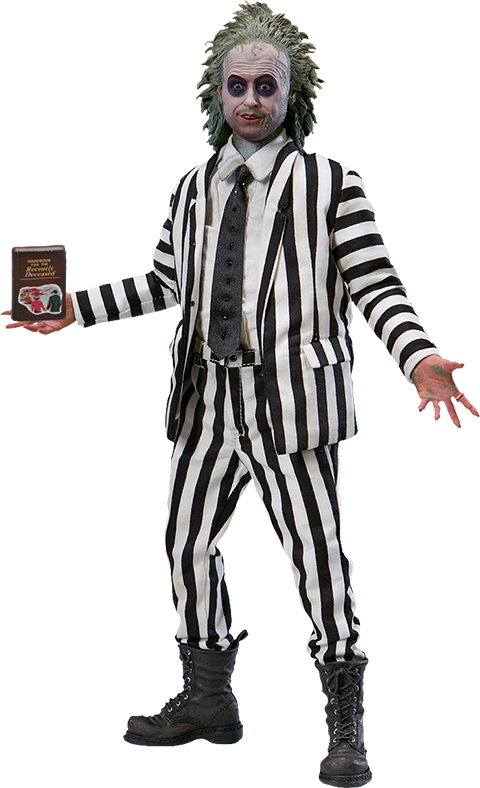 Crafted on a fully articulated poseable body, the fast-talking ghoul comes with a variety of swap-out hands and accessories to liven things up when pitching his qualifications as a bio-exorcist. 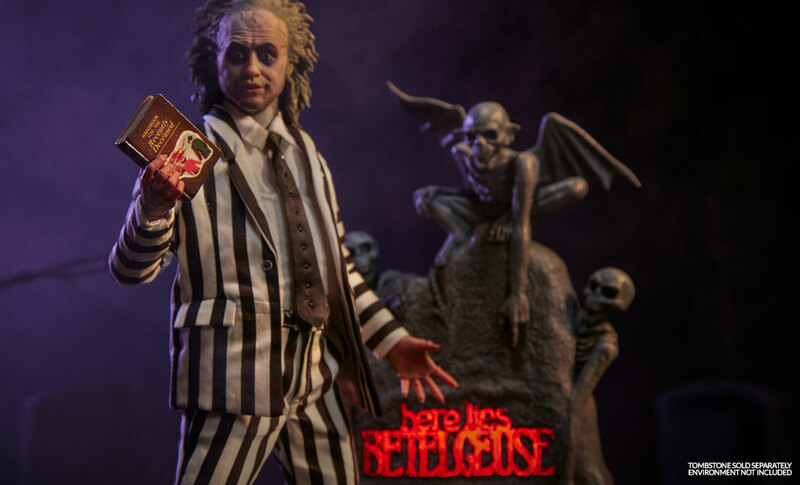 Packed with personality and screen accurate details, the Beetlejuice Sixth Scale Figure is a must have for fans of Tim Burton's Beetlejuice. So go ahead, make your millennium! Love it, love it, love it. Great detail and likeness. Can't tilt the head back very far because of the head sculpt but other than that just love it. It has been worth the wait. 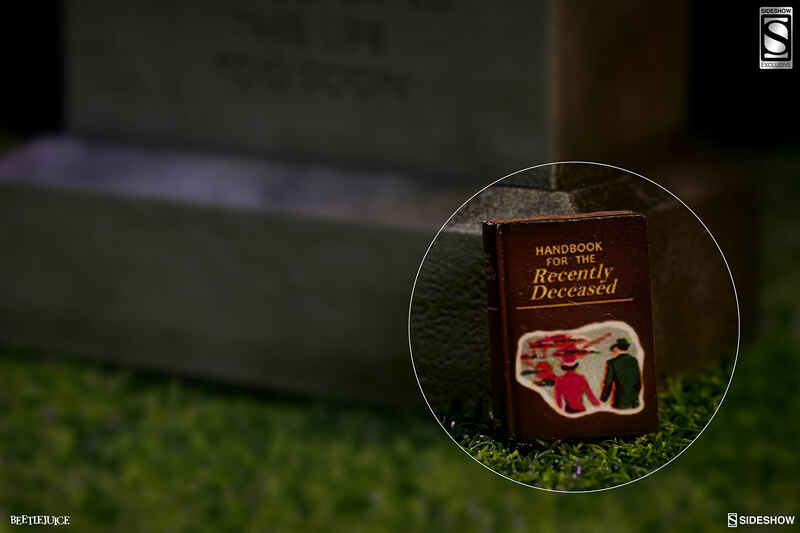 I got the headstone with this as well and it just compliments the figure. Highly recommend.